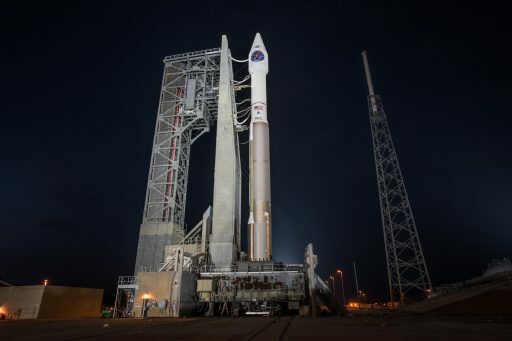 A single-booster Atlas V rocket carrying the fourth satellite of the SBIRS Missile Warning System had to back out of its launch countdown on Thursday after technical trouble struck, forcing the United Launch Alliance team to move the mission to its backup slot Friday night – provided the problem with a stubborn fill and drain valve on the vehicle’s ground support equipment can be solved in time. Gearing up for its year-opening mission, Atlas V rolled out to its Cape Canaveral launch pad on Wednesday and pressed into a seven-hour countdown sequence at 18:02 UTC on Thursday – targeting the opening of a 40-minute launch window at 0:52 UTC. 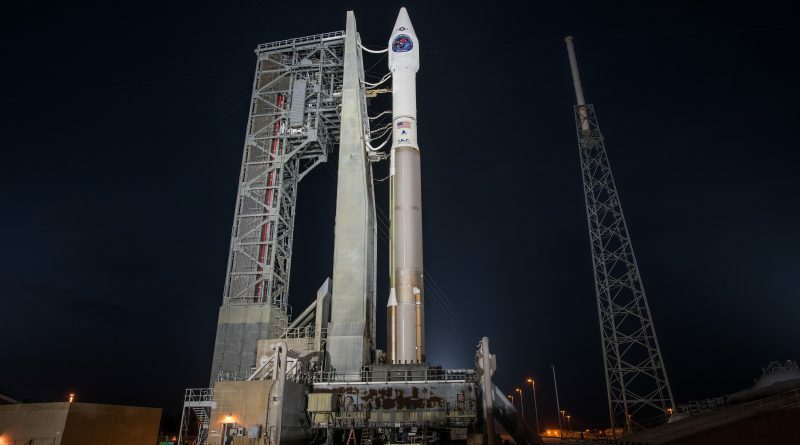 The early portion of the countdown – comprising detailed checkouts of the two-stage rocket and final close-outs at the launch pad – went without trouble and all members of the ULA Launch Team reported readiness for the cryogenic tanking sequence. Atlas V had received its dose of Rocket Propellant 1 after Wednesday’s rollout in the form of 94,600 liters of refined Kerosene loaded into the first stage, leaving only three tanks to be filled during the countdown: the Liquid Oxygen tanks of the Common Core Booster 1st stage and Centaur upper stage as well as the Liquid Hydrogen Tank on Centaur. Pumping some 15,700 liters of -183°C Liquid Oxygen into the Centaur upper stage went without trouble, but teams had to hold off on first stage loading when a LOX fill & drain valve on the Common Core Booster ground support equipment acted up. Countdown clocks were held at T-1 hour and 15 minutes while teams attempted to diagnose the problem remotely, eating into the night’s 40-minute launch window. While clocks were stopped, teams proceeded with filling the upper stage with 48,100 liters of -253°C Liquid Hydrogen in the hopes of getting back on track with sufficient time to load the first stage. However, troubleshooting steps determined the balky valve could not be diagnosed from afar and eyes- and hands-on work was required to figure out why the valve was misbehaving. 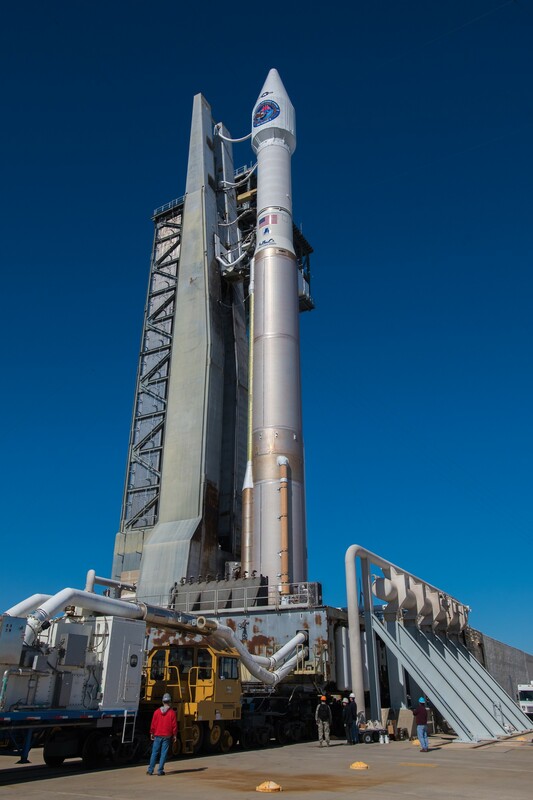 A launch scrub was called by the launch team at 0:06 UTC and Atlas V headed into de-tanking operations to drain the cryogenic propellants from the Centaur upper stage and return the vehicle to a safe configuration before engineers are allowed to the launch pad. Whether a launch attempt can be made on Friday will depend on the nature of the valve problem and the forward plan developed by the team based on the hands-on inspection. Per the standard plan, ULA went into a 24-hour recycle to protect the opportunity on Friday for which ULA is already booked on the Eastern Range. Friday’s launch window opens at 7:48 p.m. local time, 0:48 UTC on Saturday and again extends 40 minutes. Weather for the backup slot remains favorable with a 90% chance of acceptable conditions, Cumulus Clouds coming from the Atlantic being the only slight concern. SpaceX was eyeing Friday for another Static Fire attempt of the company’s Falcon Heavy rocket after encountering a series of teething issues over the last eight days which were not unexpected given this being the first test of a very complex new launch vehicle and involving a series of new ground support systems at Kennedy’s Launch Complex 39A. Since ULA booked the range for Atlas V on Friday, SpaceX would have to stand down if ULA elects to press for another attempt and schedule the Falcon Heavy test for another day. Atlas V AV-076 is tasked with lifting the final building block in the Space Based Infrared System (SBIRS) to patch the last gap in the multi-satellite constellation and relieve the last members of the heritage Defense Support Program (DSP) from primary duty. Considered one of the Pentagon’s most critical missions, SBIRS comprises dedicated satellites in Geostationary Orbit – the fourth of which is launching on AV-076 – and hosted sensor packages in Highly Elliptical Orbits flying on classified NRO satellites to cover the extreme northern regions. 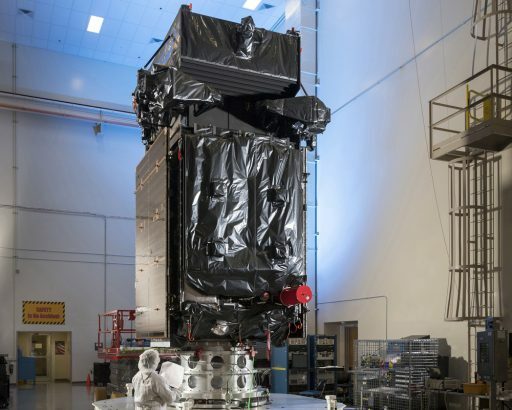 SBIRS GEO-4, coming with a price tag north of $1 billion, is functionally equivalent to the first three SBIRS satellites, built by Lockheed Martin based on the popular A2100 satellite platform and outfitted with a high-fidelity instrument package developed by Northrop Grumman. 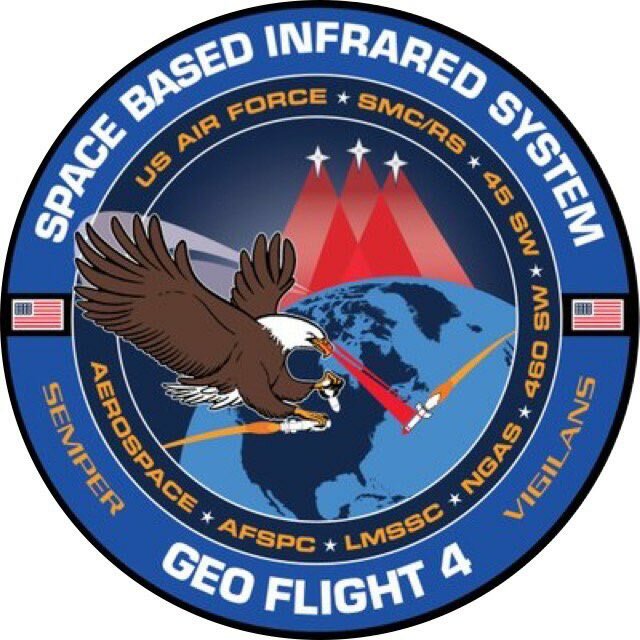 The SBIRS instrument payload comprises a scanning and a staring sensor, both sensitive in three infrared bands.